The Peanut B sofa by Bonaldo: a modular item that can unleash your imagination! In recent times so-called modular sofas have become the true protagonists in the world of modern furniture, and this proposal by the Italian brand Bonaldo is really very special. 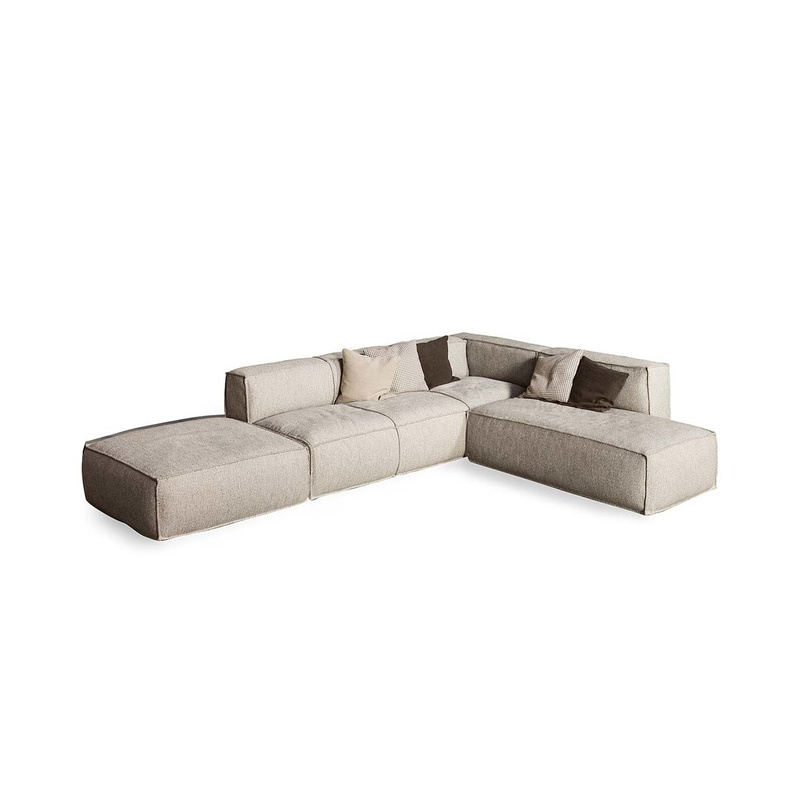 A modular sofa is made up of a series of elements that can be combined in many different ways, allowing you to customize the sofa according to your taste and need and to easily change its shape. For those who love modular sofas, Peanut B is a dream as it includes a vast range of elements that allow you to create endless solutions: it can be structured as a corner sofa, as a particularly long one, they can be divided into several elements to create a charming living room... the options are endless, not least thanks to the fact that the line includes not only seats and backrests but also larger elements. But looks aren’t everything, and indeed the Peanut B sofa is made in high-quality materials: the beautiful lining is made up of 50% cotton, 33% viscose and 17% of linen, while the padding is in feathers, ensuring great comfort.